What do Melbourne’s luxurious pads look like on a worldwide scale? 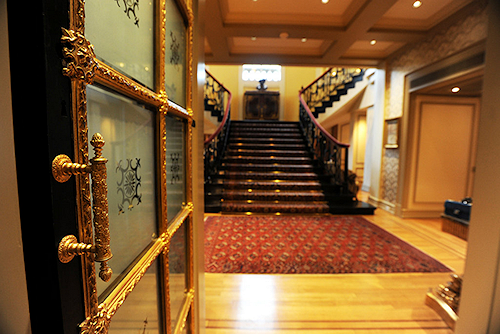 We toured five cities that house some of the most expensive apartments on the globe. Often known as a home to the mega-rich and famous, Monaco provides its residents with some enticing tax breaks. It also claims some truly extravagant residences. The Odeon Tower is expected to reach completion in July next year, claiming the “world’s most expensive apartment” title. 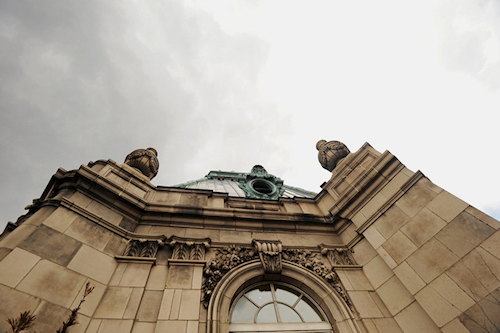 The penthouse’s price is estimated to be almost $400 million (£256 million). Measuring 1,200 square metres, this property is leaps and bounds above the others on our list, at $30,673 per square foot (this is only an estimated price tag). 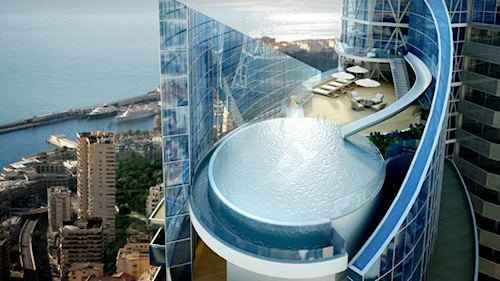 The tower will have floor-to-ceiling windows and some of the best views in the world, but its high point has to be its rooftop waterslide, which leads into an incredible infinity pool 170 metres above the ground. Another yet-to-be-completed building is grabbing record sales prices for its decadent apartments and superior address. 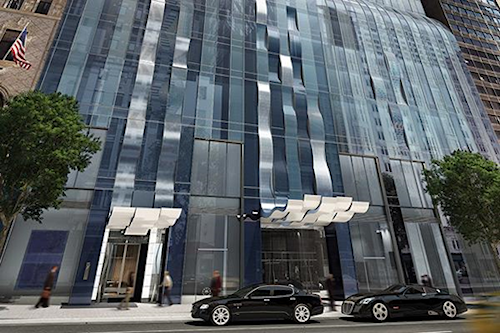 The One57 building in Manhattan is set to house some of the country’s most expensive apartments. Half of the building has reportedly been sold off-the-plan, amounting to US$1 billion in purchases. US$115 million was paid for a duplex penthouse in the complex, which has six bedrooms and six bathrooms. 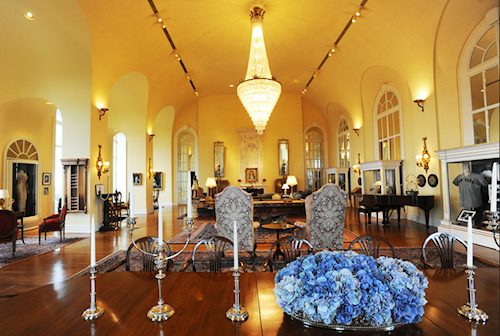 At 13,554 square feet, it is US$8,484 per square foot. The building is set to be the tallest residential building in the city, at least for a few months, before 432 Park Ave is completed on the land that formerly housed the infamous Drake hotel. Of course no one can hold a record for long in New York real estate. At the end of March, a three-story penthouse that sits on top of the Pierre Hotel on the Upper East Side priced at US$125 million. The residence has five bedrooms and six bathrooms, surrounding terraces offering spectacular views of the city, and soaring 23-foot ceilings. 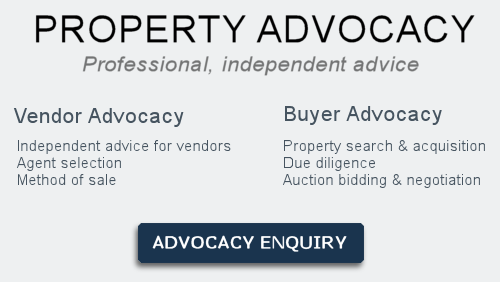 It is a 12,000 square foot property, ranking it on the upper end of our scale at US$10,416 per square foot. The apartment also includes a ballroom, because what penthouse is complete without one? 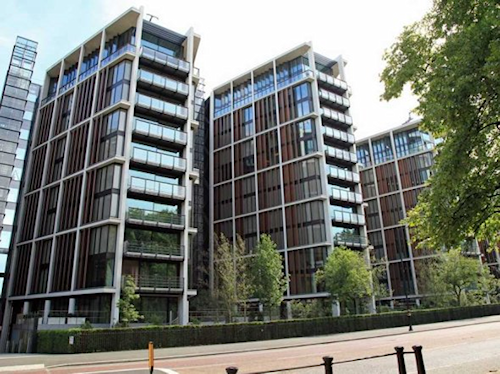 One Hyde Park has attracted its fair share of media attention since its inception, particularly following an investigative article by Vanity Fair that revealed an absence of apartment owners actually living in the building. Many of these ultra-rich “citizens of the world” do not list London as their permanent address, so the building is empty apart from the occasional stop over. Our own former Neighbours star Holly Valance has ties to this spectacular property. Don’t fret, the royalties from her one-hit wonder “Kiss Kiss” aren’t keeping her that flush. Valance recently married Nick Candy, who is one half of the Candy & Candy luxury property development team. The couple own a penthouse in the complex, which was allegedly purchased for a portion of its value. The brothers have made a name for themselves by developing ultra-luxurious apartment buildings such as One Hyde Park and NoHo Square. Another Neighbours alumnus, Kylie Minogue, reportedly bought a three-bedroom apartment in the complex for $25 million back in 2011. But the record purchase goes to Ukrainian oligarch Rinat Akhmetov, who paid $214 million for two penthouses he combined to create London’s most expensive apartment. Not to be outdone, Sheikh Hamad bin Jassim al-Thani from Qatar owns a triplex in the complex – floors 11, 12 and 13. However, the amount paid for this excessive property remains undisclosed as the owner is a partner in the project. This building sets records – it sells at $11,000 per square foot – but with 24-hour room service from next door’s Mandarin Oriental hotel (head chef is Hester Blumenthal), a private cinema, a swimming pool and golf simulator, not to mention an ex-SAS security team and bomb-proof glass throughout, is it any wonder? Maybe these perks take the edge off the hefty price tag. Not only is this next apartment the most expensive in Tokyo, it is also the most interesting and outrageous. Known as The House, this one-bedroom apartment in the exclusive Minami-Azabu district was listed last year for an astounding 1.8 billion yen (US$21.8 million)! Before you have a heart attack, the property is actually relatively large, but designed for an individual or couple to live in. It is 4,434 square feet and includes three bathrooms, a terrace with spectacular views and interior private courtyard. 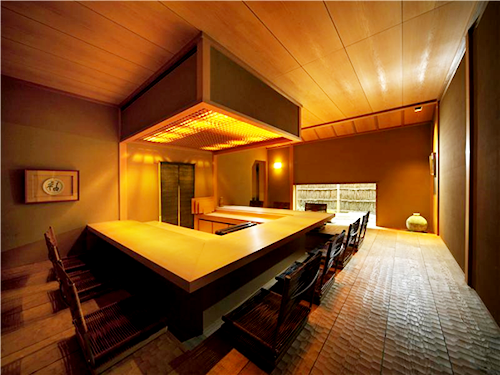 Now comes the fun part – the house has two kitchens, one for everyday use and one for traditional Ryōtei restaurant style dining for parties with a private chef. Another fun feature is the 200-pair shoe storage unit hidden in the walls. At $4,921 per square feet, this home ranks pretty high on our list. The Melbourne property market can’t quite compete with the world’s luxury apartment scene. A $20 million two story penthouse recently came onto the market, but it measures just 11,194 square feet, makes it worth a measly $1,786 per square feet (in this highly bloated context). The residence sits atop the HMAS Lonsdale building in Port Melbourne, offering spectacular views of the city and the bay. It has five bedrooms, five bathrooms, two kitchens, a rooftop garden, and – because every luxury penthouse must have something slightly different – a 1800 bottle wine cellar. 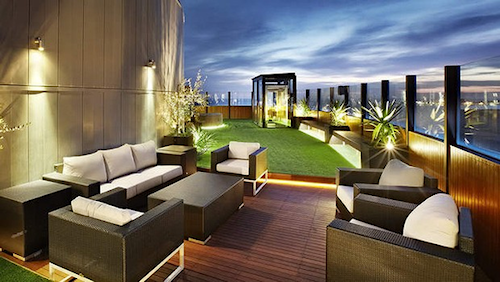 The title of Melbourne’s most expensive apartment was previously held by a $19.3 million Clarendon Street penthouse. If we tally up the prices, Monaco charges almost three times as much as its competitor on a square foot basis – bearing in mind that this is an estimated asking price for an incomplete development. London and New York are pretty close in competition, while Tokyo’s price tag is only half as much for a one-bedroom residence. Melbourne trails at almost one sixth of London’s price. Celebrities Who Want it All – Including Next Door!